When you are choosing gear for your job, do not forget to buy a pair of Timberland PRO Men's 38022 Brown Waterproof Insulated Work Boots, too. They are made using the Timberland PRO 24/7 Comfort Suspension System that is designed to reduce foot fatigue by supportin ... (see full details) (see specifications) #TMBTB038022242. When you are choosing gear for your job, do not forget to buy a pair of Timberland PRO Men's 38022 Brown Waterproof Insulated Work Boots, too. They are made using the Timberland PRO 24/7 Comfort Suspension System that is designed to reduce foot fatigue by supporting working feet. These brown boots may very well be the best investment you have ever made! This premium footwear was constructed with brown, oiled, waterproof, full-grain leather uppers that are seam sealed to help keep your feet dry. The rugged rubber lug soles are non-marking and oil-resistant.These 8 inch boots also protect your feet against electrical hazards. Your feet will stay dry and cozy on cold days with the 400g Thermolite insulation packed into these waterproof boots. The antimicrobial lining keeps odor-causing bacteria to a minimum in these insulated boots. The removable contoured open-cell polyurethane sock liner provides arch support and you can air it out at the end of a hard workday. The footbed has also been treated with antimicrobial material. The nylon shock-diffusion plates help to reduce leg fatigue so you can stay on the job longer without having achy legs at the end of your shift. The lightweight nylon shank provides arch support without weighing you down. The shock-absorbing PVC midsole is lightweight, too. The direct-attach sole construction on these antimicrobial boots coupled with the premium leather uppers ensures that your feet will stay dry even if you have to wade through water to get to your job site. Order your pair today. Get these Timberland PRO 38022 Brown Waterproof Insulated Men's Boots before you have to head for the next big job outside. Order your pair from the Working Person's Store today. I love the 8 inch style with eyelets all the way up. Very tough to find in any other color but tan usually. I usually purchase 2 at a time hoping they do not discontinue which has happened to me with other brands/styles of boots that had everything correct for the working man and performed like needed. I am very happy with this boot purchase. I was looking for something with minimum metal content as I am a surveyor and use a locator (metal detector). The nylon shank makes for a boot that is not quite as ridged as a steel shanked boot with some flex/bounce, but is noticeably lighter. I have slightly narrower than average feet and when I first tried the boots on with a non-thermal/hiking sock I found that my feet wanted to roll inward, but as soon as I put a slightly thicker pair socks on (which I would be wearing with these boots) they fit perfect. I walk as much as 10 miles a day and found these to be up to the par for me. My only real complaint is that they have eyelets all the way up to the top of the boot, makes getting them on and off slightly more time consuming. This is my second pair of Timberland Pro boots and have been happy with both purchases. Needed a boot to do work on my roof in the winter time and decided to grab a pair of these Timberland PRO 38022 waterproof and insulated work boots as I'm an absolute boot fanatic. Got them and decided to see how they would perform in the rain and I was amazed. The traction they provide is wonderful, and they can double as dry climate boots if you really need them. Only issue that I have is that they are not very aesthetically pleasing, unless you're going for the rugged look. Aside from this they are wonderful boots and I would recommend them to anyone who is looking for a work boot. I found myself in the market for a dark brown boot to complement the two other black leather boots I already had. 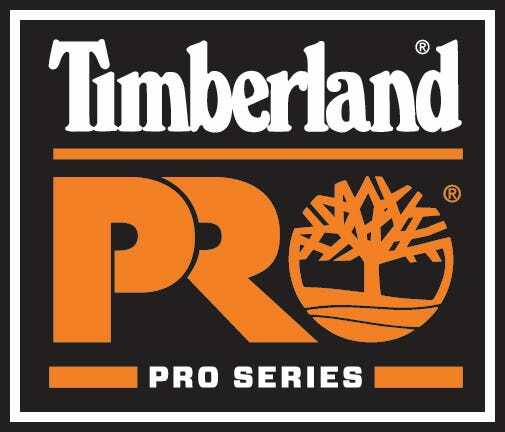 I'd worn a 6" Timberland Pro for many years, so I knew how comfortable Timberland Pros are. The styling on this is simple, but immaculate. Durable, comfortable, great styling, and amazing price. Perfect. I wish Timberland made these in Black 8", not just 6"
I usually destroy a pair of boots over the course of a long Chicago winter, but after 1 season the sole is barely broken in. The uppers however only took about 2 days of break in to make very comfortable. I'm often stomping around in snow, mud, and standing water and my feet have never gotten wet. Well worth the price. Timberland PRO Boots: Men's Brown Oiled Full-Grain 38022 Waterproof Insulated Work Boots is being added to your cart.